These easy summer crockpot recipes will keep you from slaving over a hot stove and will also free up your time to enjoy those lazy days of summer. Do you use your crockpot in the summer? Or do you put it away when the heat of the summer arrives and save it for soups, stews and other warm dishes for fall and winter? I used to do that, until I realized what a lifesaver a crockpot could be in the summer. So don’t put that crockpot away just yet! 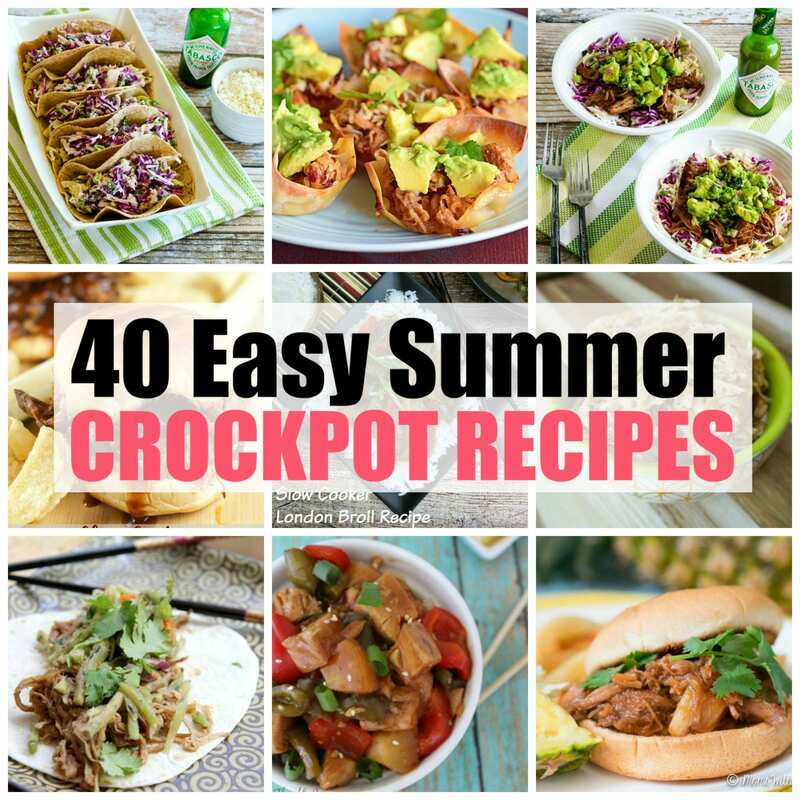 First, check out these amazing 40 easy summer crockpot recipes. You’ll find everything from shredded beef, pork and chicken for tacos to delicious additions for your salads. Take advantage of the time you’ll save using the crockpot to cook your meals. Thank you so much for the link love! What a great round-up! What a great resource! I love crockpot recipes! Thanks for sharing my Mexican chicken recipe, too! Thanks for including my pulled pork won ton tacos! Love your site! You’re welcome Danielle! And thank you! Thanks for sharing my post on how to cook ground beef in the crockpot. It’s one of my fave time (and sanity) saving tips. 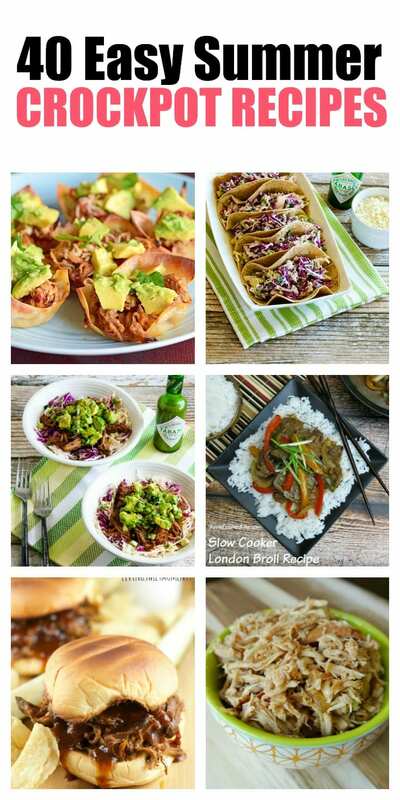 And these all look like delish recipes!